My father taught me to treat others as you would want to be treated yourself and that is how I practice medicine. I believe in one on one care with an emphasis on teaching and explaining problems and am always willing to answer questions. I think a patient who understands the disease is more likely to do well. 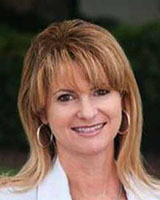 Dr. Jacqueline Kaiser was born in New York, grew up in Central Florida and returned to Florida 20 years ago. She is married and has a 16 year old son and two adult step sons. Dr. Jacqueline Kaiser also enjoys boating, scuba diving, and kayaking. And when time allows she also enjoys traveling and reading. Additionally, she has been part of the Central Florida community for most of her life. She returned to Central Florida after completing her training in 1995 and became the first female Colon and Rectal Surgeon in the Central Florida area.